"But one thing is needful. "—Luke 10:42. WE HAVE no difficulty whatever in deciding what the one thing is. We are not allowed to say that it is the Saviour, for he is not a thing; and we are not permitted to say that it is attention to our own salvation, for although that would be true, it is not mentioned in the context. The one thing needful evidently is that which Mary chose—that good part which should not be taken away from her. Very clearly this was to sit at Jesus' feet and hear his word. This and nothing less, this and nothing more. The mere posture of sitting down and listening to the Saviour's word was nothing in itself: it was that which it indicated. It indicated, in Mary's case, a readiness to believe what the Saviour taught, to accept and to obey — nay to delight in, the precepts which fell from his lips. And this is the one thing needful — absolutely needful; for no rebel can enter the kingdom of heaven with the weapons of rebellion in his hands. We cannot know Christ while we resist Christ: we must be reconciled to his gentle sway, and confess that he is Lord, to the glory of God the Father. To sit at Jesus' feet implies faith as well as submission. Mary believed in what Jesus said, and, therefore, sat there to be taught by him. It is absolutely necessary that we have faith in the Lord Jesus Christ, in his power as God and man, in his death as being expiatory, in his crucifixion as being a sacrifice for our sins. We must trust him for time and eternity, in all his relationships as Prophet, Priest, and King. We must rely on him; he must be our hope, our salvation, our all in all. This one thing is absolutely necessary: without it we are undone. A believing submission, and a submissive faith in Jesus we must have, or perish. But sitting at Jesus' feet implies, also, that having submitted and believed, we now desire to be his disciples. Discipleship is too often forgotten; it is as needful as faith. We are to go into all the world and disciple all nations, baptizing them in the name of the Father, the Son and of the Holy Ghost. A man cannot be saved unless he has become a learner in the school of Christ, and a learner, too, in a practical sense, being willing to practice what he learns. Only he who does the Master's will knows his doctrines. We are, if we have chosen the good part, sitters at the feet of Jesus, just as Saul of Tarsus sat at the feet of Gamaliel; Christ is to us our great Instructor, and we take the law from his lips. The believer's position is that of a pupil, and the Lord Jesus is his teacher. Except we be converted and become as little children, we can in no wise enter the kingdom of heaven. Sitting at the feet of Jesus indicates the child-like spirit of true discipleship; and this is the one thing needful: there is no salvation apart from it. It meant, also, service, for though Mary was not apparently engaged in waiting upon Christ as Martha was, yet she was, in very truth, ministering unto him in a deeper and truer sense. No one gives greater joy to a public speaker than an attentive listener; no one serves a teacher better than he who is an apt and attentive scholar. The first duty, indeed, of the student to the tutor is that he be cheerful in accepting, and diligent in retaining, what is taught: in this sense, Mary was really waiting upon Christ in one of his loftiest capacities, namely—that of a teacher and prophet in the midst of Israel. In that same spirit, had the Master only intimated it, she would have risen to wash his feet, or anoint his head, or wait at table, as Martha did; but she would, while she was performing these active duties, have continued spiritually in her first posture; she could not, of course, have continued literally sitting at the feet of the Saviour, but her heart would have remained in the condition which that posture indicates. She was in the fittest position for service, for she waited to hear what her Lord would have her to do. We must all be servants, too; as we have been servants of unrighteousness, we must by grace submit ourselves unto the rules of Jesus, and become servants of righteousness, or, else, we miss the one thing that is indispensable for entrance into heaven. Sitting at the feet of Jesus, also, signifies love. She would not have been sitting there at ease and happy in mind, if she had not loved him. There was a charm in the very tone of his words to her. She knew how he had loved her, and, therefore, each syllable was music to her soul. She looked up again and again, I doubt not, into that dear face, and often caught the meaning of the words more readily as she read his countenance, marked his eyes ofttimes suffused with tears, and ever bright with holy sympathy. Her love to his person made her a willing learner, and we must be the same. We must not learn of Christ like unwilling truant boys, who go to school and must needs have learning flogged into them; we must be eager to learn; we must open our mouth wide that he may fill it, like the thirsty earth when it needs the shower, our soul must break for the longing it hath towards his commandments at all times. We must rejoice in his statutes more than gold, yea, than much fine gold. When we are moved by this spirit, we have found the one thing needful. Having laid before you the meaning of the text, that to sit at Jesus' feet is the one thing necessary, for a literal translation of the text would be—"of one thing there is a necessity;" let us take the text as it stands and notice in it four things. The first is a word of consideration: the disjunctive conjunction, "but." The Saviour bids us to make a pause. He says, "but one thing is needful." Then there comes a word of necessity:"one thing is needful." thirdly, a word of concentration: "one thing is needful;" and then a word of immediateness "one thing is needful—needful now, at once. I.—To begin, then, here is a word of CONSIDERATION, which, as I have already said, is interjected into the middle of our Lord's brief word to Martha. Martha is very busy; she is rather quick tempered also, and so she speaks to the Saviour somewhat shortly; and the Master says, "Martha, Martha,"—very tenderly, kindly, gently, with only the slightest tinge of rebuke in his tone—"Martha, Martha, thou art careful and troubled about many things—but, but, but, but, but, wait a while and hear." That wise and warning but may be very useful to many here. You are engaged to-day in business; very diligent you are in it. You throw your whole energy into your trading, as you must, if you would succeed. You rise up wearily, and you sit up late. Shall I say a word that should discourage your industry? I will not; but, but is there nothing else?—is this life all? Is making money everything? Is wealth worth gaining merely for the sake of having it said, "He died worth fifty thousand pounds?" Is it so? Perhaps, you are a very hard-working man. You have very little rest during the week, and in order to bring up your family comfortably, you strain every nerve; you live as you should, economically, and you work diligently; from morning to night the thought with you is, "How shall I fill these many little mouths? How shall I bring them up properly? How shall I, as a working man, pay my way?" Very right; I wish all working men would be equally thoughtful and economical, and that there were fewer of those foolish spendthrifts who waste their substance when they have it, and who, the moment there is a frost, or they are out of employ, become paupers, loafing upon the charity of others. I commend your industry, but, but, but, at the same time, is that all? Were you made only to be a machine for digging holes, laying bricks, or cutting out pieces of wood? Were you created only to stand at a counter and measure or weigh out goods? do you think your God made you for that and that only? Is this the chief end of man—to earn shillings a week, and try to make ends meet therewith? is that all immortal men were made for? As an animal like a dog, nor a machine like a steam engine, can you stand up and look at yourself, and say, "I believe I am perfectly fulfilling my destiny"? I beg this morning to interject that quiet "but," right into the middle of your busy life, and ask from you space for consideration, a pause for the voice of wisdom, that a hearing may be granted her. Business? Labour? Yes, but there is a higher bread to be earned, and there is a higher life to be considered. Hence the Lord puts it, "Labour not for the meat that perisheth," that is to say, not for that first and foremost; "but for that which endureth unto life eternal." God hath made man that he may glorify him; and whatever else man accomplishes, if he fail to reach that end, and make eternal shipwreck, unless he comes to sit at Jesus' feet; there and there only can he learn how to sanctify his business and to consecrate his labour, and so bring forth unto God; through his grace, that which is due to him. Now, I have spoken thus to the busy, but I might speak, and I should have certainly as good a claim to do so, to those who are lovers of pleasure. They are not cumbered with much serving; rather, they laugh at those who cumber themselves about anything. They are merry as the birds, their life is as the flight of a butterfly, which lightly floats from flower to flower, according to its own sweet will; with neither comb to make, nor hive to guard. Now, thou gay young man, what doth solomon say to thee? "Rejoice, O young man, in thy youth; and let thy heart cheer thee in the days of thy youth; but"—there comes in a pause, and the cool hand of wisdom is laid upon the hot brow of folly, and the youth is asked to think awhile—"but know thou, that for all these things, God will bring thee into judgement." It cannot be that an immortal spirit was made of frivolities; a soul immortal spending all her fires on the playthings of the world, "resembles ocean into tempest toss'd, to waft a feather, or to drown a fly." So great a thing as an immortal soul could not have been made by God with no higher object than to spend itself upon trifles light as air. Oh, pause a while, thou careless, godless one, and hear the voice that saith unto thee, "but." There is something more than the fool's hell; and should not life be? The charms of music, the merriment of the gay assembly, the beauties of art, and the delights of banqueting—there must be something more for thee than these; and something more must be required of thee than that thou shouldst waste from morn to night thy precious time upon nothing but to please thyself. Stop, stop, and let this admonitory "but" sound in thine ears. I take liberty, moreover, to address the same word to religious people, who, perhaps, need it as much as the others. They will, of course, agree with anything I can say about the mere worldling or the profligate; but, will they listen to me when I say to them, "You are very diligent in your religion, you are attentive to all its outward rites and ceremonies, you believe the articles of your church, you practice the ceremonies ordained by its rulers; but, but, do you know that all this is nothing, unless you sit at Jesus' feet?" we may do what the church tells us, and never do what Christ tells us, for these may be different things; and the church is not our Saviour, but Christ. We may believe what a certain creed tells us, but not believe what Jesus teaches; for our creed and Christ may be two very different things. Teacher himself, so as to sit at his feet, and receive the truth obediently from him, our religion is altogether vain. Traditional religion is not submission to Christ, but to custom. Obedience to a denomination is not obedience to Jesus himself. How I wish that all professing Christians would bring themselves to an examination and enquire, "Do I really believe in the person of my Lord, and accept him as my Teacher? Do I study the Word of God to learn the truth from him, and not accept it blindly and at second hand from my minister, or my parents, or the church of the nation, or the creed of my family?" We go to Jesus for teaching, desiring in our hearts to be taught by his book and his Spirit, cheerfully agreeing in all things to shape our faith to his declaration, and our life to his rule. For us, there must be no spiritual law-giver, and no infallible Rabbi, but the Blessed One, whom Magdalene called "Rabboni," and whom Thomas saluted as, "My Lord and my God." Yes, and let me say, even to those of you who can honestly declare that Christ is your sole confidence, it is possible for you to forget the necessity of sitting at his feet. You, dear brethren, are looking to his precious blood alone for your salvation, and his name is sweet to you, and you desire all things to be conformed to his will. So far it is well with you, for in this you have a measure of sitting at his feet; but so had Martha; she loved her Lord, and she knew his word, and she was a saved soul, for "Jesus loved Mary, and Martha, and Lazarus;" but you have not perhaps so much of this needful thing as Mary had, and as you ought to have. You have been very busy this week, and have been drifted from your moorings; you have not lived with your Lord in conscious fellowship; you have been full of care and empty of prayer; you have not committed your sorrows to your loving friend; you have blundered on in duty without asking his guidance or assistance, you have not maintained, in your Christian service, the communion of your spirit with the Well-Beloved, and, if such has been the case, let me say "but" to you, and ask you, as you sit here this morning, to make a little stop in your Sunday-school teaching or your street preaching, or whatever else it is that you are so laudably engaged in, and say to yourself: "To me, as a worker, the one thing needful is to keep near my Lord, and I must not so suffer the watering of others to occupy me, as to neglect my own heart, lest I should have to say 'woe is me, they made me keeper in the vineyards, but my own vineyard have I not kept.'" To the saints, as well as to others, the one thing needful is to sit at Jesus' feet. We are to be always learners and lovers of Jesus. Departure from him, and independence of him, let them not once be named among you. It is weakness, sickness, sin, and sorrow for a believer to leave his Lord and become either his own leader or reliance. We are only safe while we remain humbly and gladly subservient to him. You see, then, that this word "but" suggests a very useful and salutary pause to us all. May God help us to benefit thereby. II. Secondly, our text speaks of NECESSITY—one thing is a necessity. If this be proven, it overrides all other considerations. We are nearly right when we say proverbially, "Necessity has no law." If a man steal, and it be found that he was dying of hunger, he is always half forgiven, and charity has been known to excuse him altogether. Necessity has been frequently accepted as a good excuse for what else might not have been tolerated; and when a thing is right, and necessity backs it, then indeed the right become imperative, and pushes to the front to force its way. Necessity, like hunger breaks through stone walls. The text claims for sitting at Jesus' feet that it is the first and only necessity. Now, I see all around me a crowd of things alluring and fascinating. Pleasure calls to me I hear her syren song—but I reply, "I cannot regard thee, for necessity presses upon me to hearken to another voice." Philosophy and learning charm me, fain would I yield my heart to them; but, while I am yet unsaved, the one thing needful demands my first care, and wisdom bids me give it. Not that we love human learning less, but eternal wisdom more. Pearls? Yes. Emeralds? Yes; but bread, in God's name—bread at once, when I am starving in the desert! What is the use of ingots of gold, or bars of silver, or caskets of jewels, when food is wanting? If one thing be needful, it devours, like Aaron's rod, all the matters which are merely pleasurable. All the fascinating things on earth may go, but the needful things we must have. If you are wise, you will evermore prefer the necessary to the dazzling. About us are a thousand things entangling. This world is very much like the pools we have heard of in India, in which grows a long grass of so clinging a character that, if a man once falls into the water, it is almost certain to be his death, for only with the utmost difficulty could he be rescued from the meshes of the deadly, weedy net, which immediately wraps itself around him. This world is even thus entangling. All the efforts of grace are needed to preserve men from being ensnared with the deceitfulness of riches and the cares of this life. The ledger demands you, the day-book wants you, the shop requires you, the warehouse bell rings for you; the theater invites, the ball-room calls: you must live, you say, and you must have a little enjoyment, and, consequently, you give your heart to the world. These things, I say, are very entangling; but we must be disentangled from them, for we cannot afford to lose our souls. "What shall it profit a man if he gain the whole world and lose his own soul?" If a ship is going down, and a passenger has his gold in a bag about him, and he has upon him a costly cloak, see how he acts. Off goes the garment when he knows that he cannot possibly swim with it upon him. No matter though it be lined with miniver and be made of costliest stuff, off he throws it; and, as for his bag of treasure, with many a regret he flings them down upon the deck, for his life is dearer than they. If he may but save his life, he is willing to lose all beside. Oh sirs! for the one thing needful, all entangling things must be give up. You must lay aside every weight, and the sin that doth so easily beset you, if by any means the one thing needful may be yours. There are many things very puzzling, and some people have a strange delight in being bewildered. It is astonishing the many letters I receive and interviews I am asked to give, in order to adjust in people's minds the doctrine of predestination and the fact of free agency; and equally remarkable is the way in which young people, and old people too, will pick out extremely difficult texts, perhaps relating to the Second Advent, or to the battle of Armageddon, and they must needs have these opened up to them before they will believe the gospel. I think it utterly useless to begin upon such things with those who are unsaved. One thing is needful, sir, and that is by no means a puzzling matter; it is plainly this, that thou submit thyself to Jesus Christ and sit at his feet. That is needful: as for the doctrines of election and the second advent, they are important, but they are neither the most essential nor the most pressing. The one thing needful for a seeking soul is that it receives Jesus and become submissive to him, sitting as a disciple at his feet and as a servant doing his will. It is true there is the ninth chapter of Romans in the Bible, and a precious chapter it is: but the seeking sinner should take care to read first the third chapter of John, and till he has mastered that, he had better let the Romans alone. Go first to the business which concerns your salvation; attend to that, and when all is right with you, then, at Jesus' feet, you will be in the best possible position to learn all that can be learned of the higher mysteries and the deeper truths. Moreover, there is much that is desirable, very desirable—desirable in the highest spiritual sense; but it must be second to that which is needful. If I read the experience of men who have known their own hearts and mourned before the Lord, I wish that I had as deep a sense of sin as they had; or, I read the story of saints who have lived the angelic life, and even here on earth have dwelt with Christ and walked the golden streets in fellowship with him, I wish I could rise to all their heights; but for all that, if my soul is still polluted with sin, for me the one thing needful is cleansing by the Redeemer's blood; I must at once believingly yield to Jesus, for this is of necessity, and the desirable things will come to me afterwards, if I sit down at Jesus' feet. So near the source of all good things, it will be easy to be enriched with all knowledge and grace, but our first business is to get there, and by the Holy Spirit's blessing we may come there without either the deep experience or the elevated feelings we have described; we may come just as we are, all guilty and lost, and submit ourselves to the Saviour. Having done that, we are in the best position for spiritual attainments—yea, they shall surely be ours. Let the heart yield itself to our sole reliance and sure confidence, it is well with us: we have all that is needful, and the pledge of all that is desirable. Tell us it is a necessity, and everything else must give way: necessity overrules all else. Now, what is it that sitting at Jesus' feet is a necessity? It is so, because it is needful for us to have our sins forgiven; but Jesus will never forgive the unhumbled rebel. If he will not take Jesus to be a Master, the sinner cannot have him to be a Saviour. As long as we rebel against him, we cannot be saved by him. Submission, by repentance and faith, we must have, or our transgressions will remain upon us to our everlasting ruin. It is necessary, because we must have our inbred sins overcome; but none can stay corruption in a many but Christ, who has come to destroy the work of the devil, and to save his people from their sins. Jesus, the seed of the woman, is the only power that can crush the serpent's head. Only at the feet of Jesus can the divine power be gained which works in us holiness and sanctifies us practically; therefore, as you must be purified or you cannot enter heaven, you must come to Jesus' feet. Moreover, it is at the feet of Jesus that the soul's ignorance is removed; and since ignorance concerning ourselves and our God must be taken from us, we must be taught of him. God is "our light and our salvation;" our light first, and our salvation in consequence. We must have the light. The spiritually blind man cannot enter heaven, he must have his eyes opened, but Jesus alone can work that miracle of grace. Neither can we receive true light except from him, for he is "the true light, that lighteth every man that cometh into the world;" none are ever enlightened, except by him. "In him is light—all light; and the light is the light of men." As God is the mind of the world, he who has not God is demented; and as Christ is the light of the world, he that believes not in him abideth in darkness even until now. We must come, then, and yield ourselves unreservedly to Jesus, worshipping him, trusting him, and obeying him—in a word, we must sit at his feet, and hear his word; otherwise, we shall abide in darkness and death. In order to enter heaven, it is necessary that our nature should become like the nature of Christ. This earth is for those who bear the image of the first Adam; but the new heaven and the new earth are for those who bear the image of the second Adam.. We must, by some means, acquire the nature of the second and heavenly Adam, and this must be wrought in us by regeneration, and developed by acquaintance with him. By sitting at his feet, and beholding him, we become changed into the same image from glory to glory even as by the Spirit of the Lord. If we reject the Lord Jesus as our trust, teacher, and exemplar, we have no new life, we are not new creatures in Christ,m and we can never be admitted within the holy gates where those alone dwell who are fashioned after his likeness. We must, then, sit at his feet; it is absolutely necessary, and, without it, our whole life will be a complete failure; we may make money, but we shall lose our souls; we may gain honour, but shall have come short of the glory of God; we may enjoy pleasure, but we shall forfeit the pleasure which are at God's right hand for evermore; we may have done our country some service, but to our God, and the higher country, we shall have rendered no service, for we cannot serve God if we will not obey Christ. "He that honoureth not the Son, honoureth not the Father which hath sent him." This life is a blank, a long rebellion, to the man who submits not to Jesus, and the life for ever hereafter will be darkness and confusion; as darkness itself, a land of sorrow, and of weeping, and of wailing, and of gnashing of teeth, a land of despair, upon which no star shall ever shine, or sun shall ever rise. Woe, woe, woe, woe to the Godless, Christless spirit that passeth across the river of death without a hope. Woe, woe, woe, woe eternally to the soul that will not sit at the feet of Jesus! he shall be trodden beneath his feet in his anger, and crushed in his hot displeasure. God grant that may never be our portion. To sit at Jesus' feet is the one thing needful then. And, brethren, let me just say, and leave this point, it is needful to every one of you. It is not some of us who must be there, but all. The wisest must become fools to learn of him, or fools they are; the most educated and cultured mind must submit to this further culture, or else it is nothing but a barren waste in his sight. One thing is a necessity to you all, high or low, rich or poor, queen or beggar—you must sit at Jesus' feet; and all alike must accept his teaching, or you know nothing that can save you. Some things in this world are necessary, after a measure, but this is necessary without measure; infinitely needful is it that you sit at Jesus' feet, needful now, needful in life; needful in life for peace, in death for rest, and in eternity for bliss. This is needful always. Many things have their uses for youth, others come not into value till old age; but one thing, the one thing, is needful for childhood, and needful for palsied age; it is needful for the ruddy cheek, and the active limb, and needful everywhere and always. In the highest and most emphatic sense, "one thing is needful." III. Thus much about the necessity, the next word is CONCENTRATION: "One thing is needful." I am glad it says "one thing," because a division of ends and objects is always weakening. A man cannot follow two things well. Our life-flood suffices not to fill two streams or three; there is only enough water, as it were, in our life's brooklet, to turn one wheel. It is a great pity when a man fritters away his energies by being "everything by turns, and nothing long;" trying all things, and mastering nothing. Oh soul, it is well for thee that there is only one thing in this world that is absolutely necessary, give thy whole soul to that. If other things are necessary in a secondary place, "Seek first the kingdom of God and his righteousness, and all these shall be added unto you." One thing is needful, and this is well arranged, for we cannot follow two things. If Christ be one of them, we cannot follow another. Is it not written, "No man can serve two masters, either he will hate the one and love the other, or cleave to the one and despise the other. Ye cannot serve God and mammon." Not only would it be very weakening to you to attempt to serve both, but it is absolutely impossible that you should do so. Jesus Christ is a monopolizer of human hearts, he will never accept a portion of our manhood. He bought us altogether, and he will have the whole of our personality. Christ must be everything, or he will be nothing. He does not love Christ who loves anything as well as Christ, neither does he trust him who trusts in anything besides. Christ must reign alone. "Jesus only," must be the motto of our spirits. It is well for us, therefore, that only one thing is necessary, for only one thing is possible. It is an unspeakable mercy that the one thing needful is a very simple one. Little child, thou couldst not climb the mountain, but thou canst sit down at Jesus' feet; thou canst not understand hard doctrine, but thou canst love him who said, "Suffer the little children to come unto me, and forbid them not, for of such is the kingdom of heaven." Unlearned man, thou who hast no time to acquire earthly lore, if the one thing needful were something that belonged only to the learned, alas for thee; but if thou canst not teach, it is not needful that thou shouldst, it is only needful that thou shouldst learn. Take the Incarnate Wisdom to be thy Master, and sit as a little child at his feet to learn with all thine heart. That is all he asks of thee. Men will have it that they must do something to be saved. They must fret and worry like Martha, but after all, the right way is to end your doing and fretting by sitting down content with Jesus' doing, satisfied with his righteousness and with the merit of his precious blood. The one thing needful is very easy, except to proud hearts, which cannot brook to accept everything gratis, and to be beholden to sovereign mercy. To the poor in spirit it is not only simple but sweet to sit at Jesus' feet. I would be nothing but what he makes me, I would have nothing but what he gives me, I would ask nothing but what he promises me, I would trust in nothing but what he has done for me, and I would desire nothing but what he has prepared for me. To sit at Jesus's feet in humble submission and quiet rest, he the master and I the little child, I the vessel waiting to be filled, and he my fulness, I the mown grass, and he the falling dew, I the rain drop, and he the sun that makes me glisten in life with diamond brilliance, and then exhales me in death to be absorbed in him; this is all in all to me. Let us remark that, though this is only one thing, and so concentrated, yet it is also comprehensive and contains many things. Imagine not that to sit at Jesus' feet is a very small, unmeaning thing. It means peace, for they who submit to Jesus find peace through his precious blood. It means holiness, for those who learn of Jesus learn no sin, but are instructed in things lovely and of good repute. It means strength, for they that sit with Jesus, and feed upon him, are girded with his strength; the joy of the Lord is their strength. It means wisdom, for they that learn of the Son of God understand more than the ancients because they keep his statutes. It means zeal, for the love of Christ fires hearts that live upon it, and they that are much with Jesus become like Jesus, so that the zeal of the Lord's house eats them up. If we say that in an army the one thing needful is loyalty to the sovereign, we know what that means; for the loyal solider will be sure to be obedient to his officers, and if attached to his queen, he will be brave in the day of battle, and do his duty well. If we said that the one thing needful in a family was love, we should not have required a small thing; for love will place husband and wife in their true position; love will produce obedience in children, and diligence in servants. Let love permeate everything, and other virtues will grow out of it, as flowers spring from the soil. So when we say that sitting at Jesus' feet is the one thing needful,m we have not uttered a mere truism: it comprehends a world of blessings. And here would I address a word to the church of God in this country at this present time. She, too, is as Martha, cumbered with much serving. It were her wisdom, and her strength, if she would become more like Mary, and sit at Jesus' feet. Just now we need revival. Oh that God would send it! Oh for a mighty flood of spiritual influences, that would bear the stranded churches right out into a sea of usefulness. But how can we get revival? We shall have it, brethren, when we commune with Christ. When the saints habitually sit at Jesus' feet they will be revived, and of necessity the revival will spread from them, and the hearts of sinners will be touched. There is great talk now-a-days of union; the walls of the various churches are to be broken down, and the denominations are to be blended. Think not of it in such a fashion; the only union possible, or desirable, is that we all unite to sit at Jesus' feet. It is not allowable that we concede one truth and you another; that is not natural charity, but common treason to Christ. We have no right to yield an atom of the truth of God, under the pretence of charity. Truth is no property of ours; we are only God's stewards, and it behooves us to be faithful to our trust. Neither one church nor another has any right to bate its testimony one jot, if it be true. To alter the statute-book of Christ is blasphemy. True union will come when all the churches learn of Christ, for Christ does not teach two things opposed to each other. There are not two baptisms in the Bible; we shall not find two sets of dogmas diametrically opposite to each other. If we give up the various things that are of man, and hold fast each of us only that which is of God, we shall be united in principle and in doctrine; and "One Lord, one faith, one baptism" will once again be emblazoned upon the banners of the church of God. Sit at Jesus' feet, O thou church of Christ, and true unity will come to thee. We hear a great deal about the necessity of controversy. We ought to be ready to answer all that infidels object, so wise men say. Every absurdity of every fool we are to sit down and reply to, and when this labour of Hercules is accomplished, we are to begin again, for by that time new whimsies will be in men's brains, and new lies will have been begotten. Is this so? Am I to do nothing in winning souls and glorifying God, but to spend all my time in finding wind for the nostrils of the wild asses of the desert? Well, let those do it who please, we believe that the settlement of all controversy in the church and for the church would come from the Lord himself, if we believed more fully in him, and waited more upon him for guidance, and if we preached the gospel more in his own strength, and in his own Spirit. And, as for missions: we appoint our committees, we amend our plans, and suggest schemes. All very well and good; but missions will never flourish till the church, with regard to missions, sits at Jesus' feet. She will never convert the heathen in her own way: God will give success only when we work in his way. It may be very useful to make translations, and exceedingly beneficial to keep schools; but if I read my Bible right, it is not Christ's way. 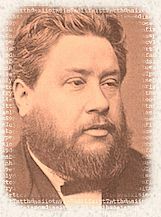 "Go ye into all the world, and preach the gospel to every creature," is the law of Jesus Christ, and when the church everywhere, at home and abroad, takes more earnestly to preaching, when the testimony of the truth is perpetual and incessant, in simple language, and popular speech, then Christ the Lord will look upon the church that, like Mary,sits at his feet, and say "Thou hast done thy part," and blessing shall follow. "Thy work is done, and I will give thee thy reward." For us all, beloved, saints and sinners, one thing is needful: that we always sit, like Mary, at the Master's feet. IV. The last word is IMMEDIATENESS, and there is no need that we say much upon it. One thing is a necessity, a necessity not of the future only, but of to-day. It is not written, "it shall be needful," on certain coming days, to sit at Jesus's feet; but it is so now. Young man, one thing is necessary to you while yet young; do not postpone it till advanced years. Christian, it is needful for thee to-day to have communion with Christ; do not think of it as indispensable to-morrow or to-night at the communion table; it is needful now. There are dangers thou canst not see, which can only be warded off by present and immediate fellowship with Christ. "One thing is needful." It is not that it was needful in the past, indeed it was so; but it is needful now. It was needful for me in the days of my sinfulness to submit to Christ, it is equally needful for me now. However much you advance, O believer, you never advance beyond this; whatever your experience, or your information, or your ripeness for glory, it is needful still to sit at Jesus' feet. You shall never get into a higher class in the school of wisdom than is the class which Christ teaches; his is the infant class in the school, but it is the highest class also. It is always needful, every moment needful, that we sit at Jesus' feet. It is needful, I have already said, to the sinner. Life, and health, and peace will come to him when he becomes a disciple of the Crucified. Would God that he might be made so this very morning. There is life in a look at the Crucified One. To depend entirely upon the sinner's Saviour is the sinner's salvation. God bring you to his feet, dear hearers. But it is equally needful for the saint. Covered with the fruits of righteousness, his root must still cling to the riven rock. You must never imagine, whatever you have done or whatever you have attained, that you are to leave Mary's seat; still must you abide there. It is the one thing needful for the backslider. If you have fallen never so much, you will rise again if you come to the Master submissively and abide with him. It was the mark of the man who had the devil cast out of him, that he was clothed and in his right mind, sitting at the feet of Jesus; it shall show that you, too, are restored when you learn of your Lord. A seat at Jesus' feet is the place for all Christians to die in, they shall sleep sweetly with their heads in Jesus' bosom: it is the place for them to live in, for joy and bliss are there. Beloved, I desire for myself never again to be worried with the cares of this church, but to take them all to my Master, and wait at his feet. I desire not to be troubled about my preaching, nor to be cumbered about anything beneath the sun, but to leave all these, as he would have me leave them, in his hands. You who are working in the classes, in the school, or anywhere else, I pray you look well to your fellowship with Jesus. You cannot slay the enemy by throwing away your sword, and nearness to Christ is your battle-axe and weapons of war; you have lost your power when you have left your Lord. One thing is needful—let the rest go. What if we have not learning?—what if we have not eloquence? If we live near to Christ, we have something better than all these; if we abide in him, and he abides in us, we shall go and bring forth fruit, and our fruit shall remain; if he abides in us, we shall enjoy heaven on earth, and be daily preparing of that eternal heaven which is to be our portion. "One thing is needful." God grant it to every one of us!—Amen. PORTION OF SCRIPTURE READ BEFORE SERMON—Luke 10.